Buckeye Firearms Association's Ken Hanson awarded the 2009 "Jay M. Littlefield NRA-ILA Volunteer of the Year Award"
The "Jay M. Littlefield NRA-ILA Volunteer of the Year Award," presented annually by the National Rifle Association's Institute for Legislative Action (NRA-ILA), is an honor that recognizes an NRA member who demonstrates exceptionally meritorious activism in defense of the Second Amendment and serves as an example to fellow members of the gun rights community. The 2009 "Jay M. Littlefield NRA-ILA Volunteer of the Year Award" will be jointly presented to Ken Hanson of Powell, OH and Mark Becker of Stuart, FL. 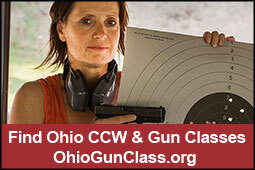 Ken Hanson currently serves as the Legislative Chair to the Buckeye Firearms Association. His committed work to protect the Second Amendment for Ohioans is exceptional, as Hanson has assisted greatly with NRA-ILA's lobbying efforts by helping draft key legislation, testifying before committees, and attending legislative meetings. Ken is also an attorney working to defend gun rights every day and frequently acts as a consultant on political campaigns for sportsmen's issues. NRA-ILA Ohio State Liaison John Hohenwarter said of Hanson's work: "Over the past several years, Ken has been a great help to NRA's efforts in Ohio. His activism in the state and across the nation makes him very deserving of this prestigious award." This is the second major NRA-ILA award given to Hanson. 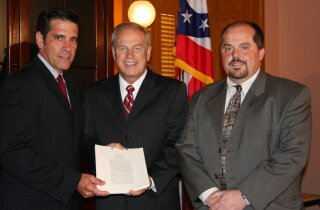 In 2008, Hanson was honored to receive the NRA-ILA's Defender of Justice Award. Last year, Buckeye Firearms Association Central Ohio Chair Linda Walker was awarded the NRA's 2009 Sybil Ludington Women's Freedom Award. In 2007, Buckeye Firearms Association itself was honored to be named the "NRA-ILA Volunteer Organization of the Year", and also the Citizens Committee For The Right To Keep And Bear Arms (CCRKBA) "Grassroots Organization of the Year."